Hi, my name is Vlad and i'm a front-end web developer with more then 10 years of experience in creating good looking & functional websites. Everything i build is 100% custom made, websites and ecommerce online stores that meet your needs, while also addressing your business unique challenges. My focus when building a website is on ease of use and maintainability; making sure that (if necessary) you can manage your content as simply and quickly as possible. You will receive nothing but the highest quality work, the closest attention to detail, and the most professional looking websites you could ask for at an affordable rate. A design that suits responsive coding for viewing on all mobile devices and all screen sizes. Updating and tweaking your website on your own will never be more seamless – or more simple. Brand oriented custom design is just as important as website development. I deliver high quality, innovative and cost effective web development solutions. I know what it takes to create a store that looks great, is easy to manage and converts browsers into buyers. Clear and simple design, uncluttered and intuitive so your customers can more easily find what they need. Premium user experiences for web + mobile. I am specialized in developing custom Wordpress themes and ecommerce online stores that meet your needs. The work I provide is of highest quality, fully responsive, and tested in a wide range of devices. Want to see more examples? Email me. 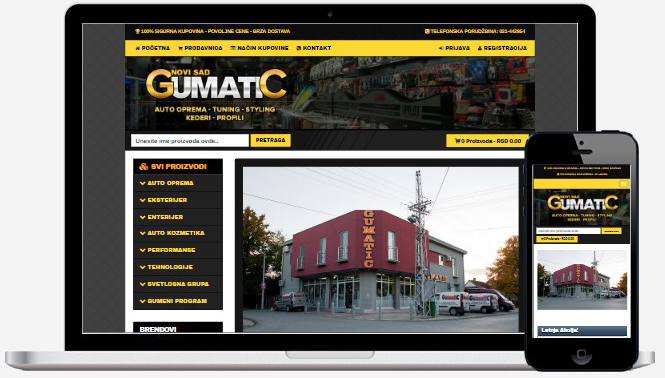 Gumatic is one of the Serbia's biggest Auto-Truck-Boat performance parts & accessories site with in-house experts. 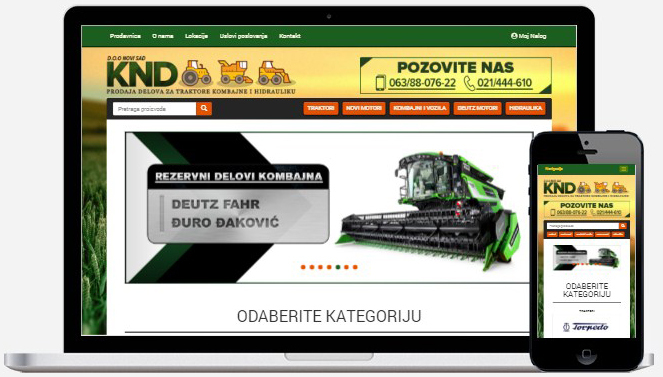 KND is specialised in the supply of tractor replacement parts and accessories for agricultural tractors and machinery. We will discuss your needs and objectives and make sure we are on the same page. Just fill in the form below (or send an email to [email protected]) and I’ll get back to you ASAP! (c) 2014 Adwork Design - All sponsored products, company names, brand names, trademarks and logos are the property of their respective owners.